We are proud to present Malin Ekstrand and a new EP from monophon. It is available for download on iTunes and other download services 2011 03 11. ”The Music: Open, Warm, Loving, Personal, Happy, Laid Back, Intimate, Elaborated, Playful, Soft, Ingenious. Malin: I am just like anybody with thoughts and ideas, right and wrong. The difference is that I write it down, using music. My life, so far, has been very exciting and I have had many positive surprises. In addition to my lovely man and my two wonderful children I also enjoy having music as a close friend. Music has always followed me, but in different shapes and genres: pop, rock, funk, soul, jazz, musicals and that mixture of everything that is a genre of its own. All of it has enriched my life and helped me develop. I have been given the opportunity to explore music as a pianist, a solo artist, a choir singer, a teacher, a creator and as a listener. The music in my life changes, as do my goals and myself. My next goal is to always believe in myself. 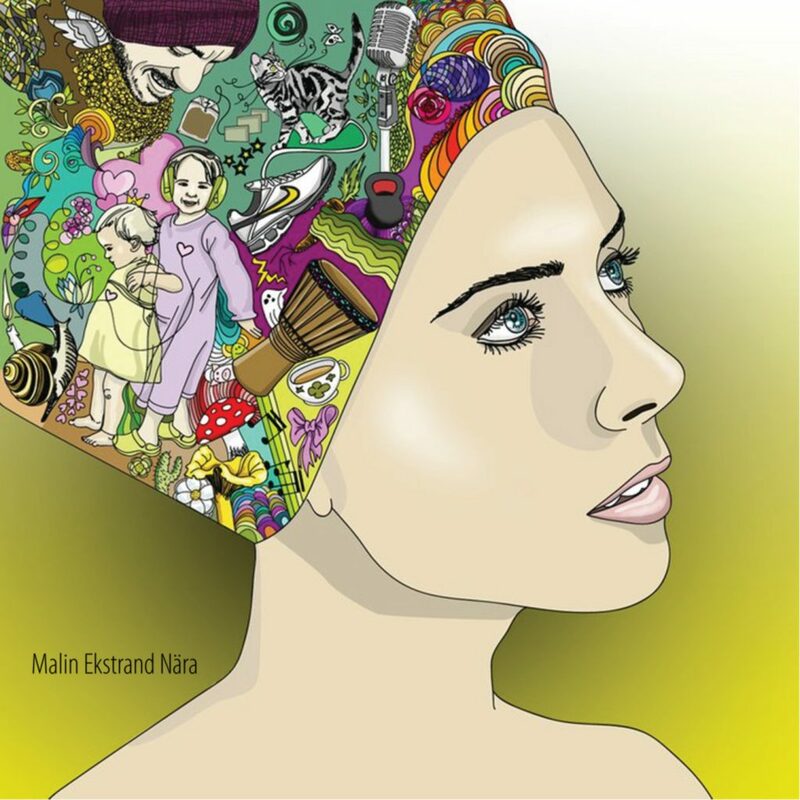 Knowing that Malin has a strong following abroad, we chose to make the presentation in English, although her lyrics in these songs are in Swedish. 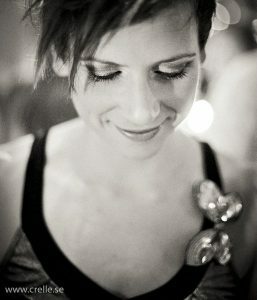 The songs are written by Malin Ekstrand. Grodor i ring Malin Ekstrand vocals, piano, Johannes Nästesjö double bass, Johan Melén drums, Fredrik Silfverberg electric guitar, Daniel Dahlquist backing vocals, Per Tidstrand Mellotron, Jupiter8. Tvilling Malin Ekstrand vocals, piano, Johannes Nästesjö double bass, Johan Melén drums, Fredrik Silfverberg electric guitar, Per Tidstrand Mellotron, ARP2600V. Nära Malin Ekstrand vocals, piano. Ibland tvär Malin Ekstrand vocals, piano, Johannes Nästesjö double bass, Johan Melén drums, Martin Thuvesson saxophone. En Sista Dag Malin Ekstrand vocals, piano. 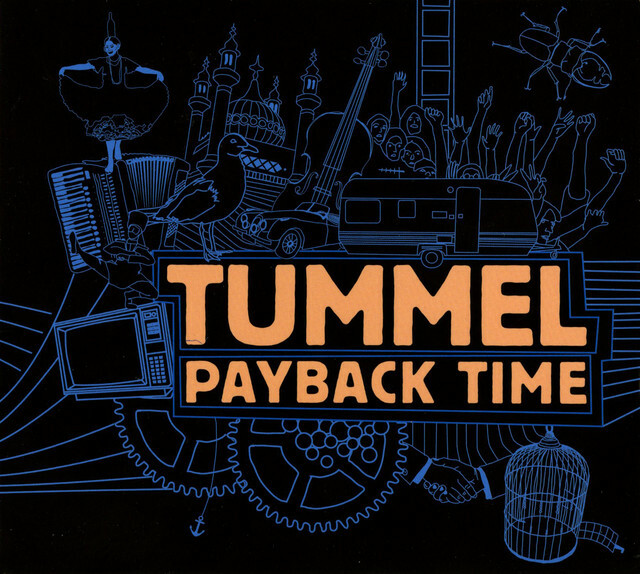 All tracks were recorded by Per Tidstrand at I/O studios in Malmö, Sweden. Good Friday April, 10 sees the release of a new EP from monophon. It is available for download on iTunes and other download services. OPA! is also availabe as a CD at the band’s shows. “OPA!” framför en mix av känd och okänd grekisk musik: visor, zeibekiko, chassapiko, tsifteteli! Recorded, mixed and mastered by Per Tidstrand. Finally it is time for Tangarte’s new record Lo que vendrá to see the light of day. And as if that weren’t enough, it is also the first release from monophon as a record label! We start by celebrating at Barnens scen in Malmö on October, 26, 2007 at 7 pm for invited and from 8.30 pm for everyone, where there also will be a short live performance. The record will be sold at a reduced price for that evening. The record will also be available through iTunes music store and other download services. For a start the physical record will only be available at concerts or by order in the shop, but later on we will try to get it distributed to stores as well. 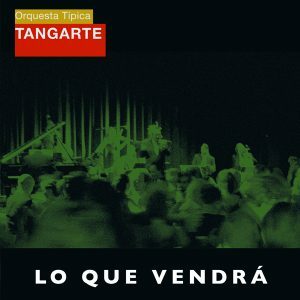 Lo que vendrá is the name of the latest record by Orquesta Típica Tangarte. The album is available on iTunes music store (in the new plus format with better audio quality and without copy protection) and several other download services, just as the last record. For a start the physical record will only be available at shows or at www.monophon.se, but later on we hope to get it to record stores as well. Orquesta Típica Tangarte is an Argentinean-Swedish tango orchestra with the intention of spreading the tango from Rio de la Plata. Their music is primarily played for dancing; for people to meet in the embrace of the tango and to be carried away by the music. Tangarte plays a wide repertoire ranging from the old-guard tango to the modern style tango from 1940 and onwards. Well-known composers like Villoldo, Canaro, Fresedo, Di Sarli, Troilo and Piazzolla, just to mention a few, are part of this repertoire. The orchestra plays tango music of Argentinean tradition along with milongas and waltzes. With this wide range of music, the programme is also suitable for concert performances. Tangarte is under musical and artistic direction of Juanjo Passo, guitar player, who founded the group in june 1999. The orchestra has had great guests musicians, singers and dancers: bandoneon players Luis Stazo, Carlos Buono and Marcelo Mercadante, singer Elizabeth Figueroa and dancer Marcela Troncoso. Tangarte is based in the city of Malmö, Sweden to spread their tango music to the world. The orchestra has performed in Sweden, Denmark, Finland, Argentina, Spain and France. Among others main events Tangarte has perfomed in Stockholm International Tango Festival 2003, Malmö Tango Festival 2004, 5th World Tango Summit in Rosario (Argentina), 6th World Tango Summit in Sevilla (Spain), Salamanca University (Spain), 7th World Tango Summit in Valparaiso (Chile), Buenos Aires, International Tango Festival of Tarbes, International Tango Festival of Granada (Spain), TV NDR of Germany, TV4 Sweden. The latest record is ”Lo que vendrá” (2007). Tangarte has previously recorded two CDs – ”Danzarin” (Skåneton/Hi-hat records) and ”Ecos de Tango” (EDT) from the tango show with the same name.